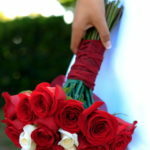 You may well already have a vision of what will make your wedding day special. With his wealth of experience in wedding catering, Chef Nico is dedicated to realising your wishes every step of the way. Nico usually catered weddings on Waiheke Island, but he is more than happy to put his truck on the ferry and come and meet you at your mainland Auckland venue. 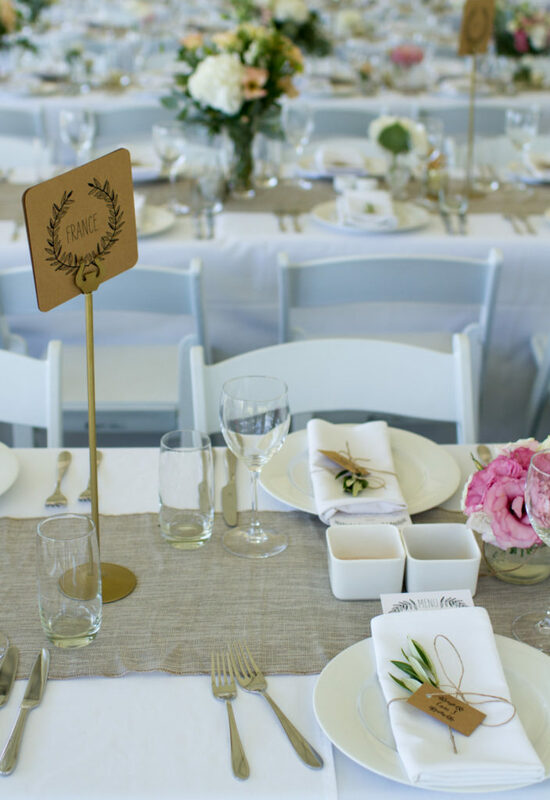 Alternatively, if you are starting out on your wedding planning journey, be sure to involve Nico at the outset to assure of a truly joyful wedding day food experience. Your team was amazing and really made the day seamless. Everyone raved about them, and they were just such a great representation of your business and how you run things. Thank you for working with us and our unusual request to create the best day of our lives to date. The Food Truck was a great fit for our Wedding Day ! You made the day so special! I just wanted to express how pleased we were with the food you catered for our wedding day, we are so happy we chose you. Our guests are still raving about how excellent the food was. You were so efficient and lovely to deal with. 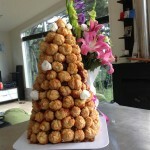 The croquembouche was a work of art. The food truck was such a great fit with our wedding. 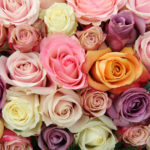 Thanks so much for making our day so special, you did an amazing job…. Hello Nico Thank you so much for doing such an amazing job with the food at our Wedding. We knew your food was going to be something special but it really surpassed our expectations! The service & your staff were amazing too. Very professional. We had so many positive comments from guests saying how much they loved the food (especially the duck). Other highlights were the entrée which was delicious and looked great on the plate, setting the mood for the remaining courses. Plus we loved the creme brulée at the end of the meal. Thanks again for all your help on our Wedding Day and beforehand with the planning. Hi Nico, Thank you SO MUCH for catering for our wedding, everyone couldn’t stop complementing us on the food, we couldn’t have picked anyone better. The wedding was a mix of people from many walks of life but a large section have experienced events, festivals and wedding across the globe.... The number of them whom have been up to us, but more importantly, told others that it was not only one of the best events they have experienced but simply the best couple of days they have enjoyed was remarkable. As I said in my speech none of this happens without contribution of many. You and your team were a part of that experience and a part you can truly be proud of. We chose you for your passion and it was equally of this that we left you to your own devices on what would fit our day of wanting casual, quality and elegance ... Few things bring greater pleasure to people than good food so its something that can make and break a time of celebration ....it all rocked.... Well done. 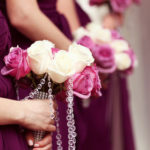 You may well already have a vision of what will make your wedding day special. With his wealth of experience in wedding catering, Nico is dedicated to realising your wishes every step of the way. Alternatively, if you are starting out on your wedding planning journey, be sure to involve Nico at the outset to assure of a truly joyful wedding day food experience. French Banquet, a selection of gourmet dishes beautifully served to each table, enabling guests to serve themselves as they please. After all, you don’t want your guests queuing at a buffet on such a special occasion! 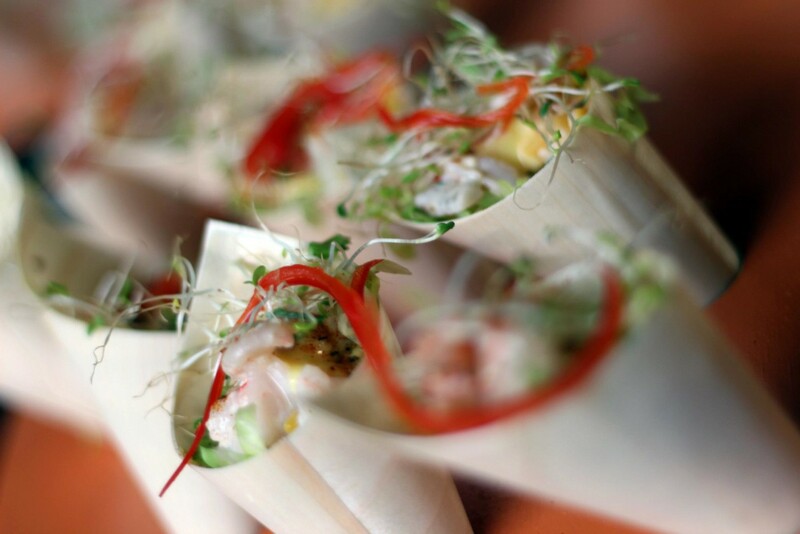 Canapés continuous, sophisticated finger-food with attentive service to provide an elegant start to your event. Food Truck an excellent alternative for those wishing to have delicious, and memorable food served in a relaxed, yet professional way, to create a convivial-style wedding. Seated Dining the fine-dining experience for a more formal, traditional option. You will find him approachable, friendly and passionate about food. Let him help you make your vision a reality.